If you're a Christian you probably want to focus on the birth of Jesus, but you spend a great deal of your December on shopping and traditions. Then you may finish "The Season," as it has come to be known, feeling guilty because you didn't focus on Jesus as the "Reason for the Season." You may even want to ask if the season is really necessary, because you're exhausted, broke, and relieved when it's over for another year. For the most part, the world will tolerate stars, angels, Christmas trees, or a baby sleeping in a manger. But there’s still "no room at the inn" for the King who invites us to walk His lowly path. Worse.. Jesus’ place has been usurped by a pleasant fat fellow boasting a red hat and team of reindeer. So how do we understand the Santa Claus phenomenon? What do we REALLY know about Santa? Is he just a harmless, friendly fellow? Or is there something or someone else hiding behind the façade? There is no Biblical warrant nor precept for remembrance of the day of Christ's birth, nor does there have to be. Indeed in my humble opinion it is noble that we should have a special celebration each year to honor God's gift of Christ's birth, and have special joy and celebration in it's significance. I find it very odd that anyone could find inherent fault with this. The theory that we must have clear Biblical command or precedent before having religious commemorations or celebrations is ludicrous. Will Your Church Be Closed For Christmas? It seems this year many of us are going to honor that Blessed One who was born to be nailed to a Cross for our sakes and sins by taking our ease, trading our toys, watching our TVs and munching out en masse before happy nappy time. May I invite you to consider eight reasons why the original Christmas story matters, even to you? You may not agree with all of them, but perhaps they will stimulate your thinking and maybe even kindle some feelings that resonate with that famous story. Most radio stations play some type of Christmas music during the holiday season, but many of the songs have become so familiar to us that we no longer consider their content. In between the secular songs like "Rudolph the Red-Nosed Reindeer" and "Up on a Housetop," you may hear the strains of a few old hymns... Listen Carefully.. They tell the whole story. People often talk about the "spirit of Christmas" and discovering its "true meaning." Just what is the true meaning of Christmas? In our secularized culture, non-Christians have reinterpreted the "true meaning of Christmas" to be "good will toward men." By that expression they mean that people should get along with one another, have good feelings toward one another, and be nice to one another. It is this humanistic interpretation of Christmas that is celebrated in such holiday films as It's a Wonderful Life and White Christmas. Not to appreciate the human longing for love, happiness, and goodness expressed in these films would be dreadful indeed. Human beings, Christians and non-Christians alike, have a tremendous capacity for feeling, and Christmas brings that capacity to open expression with an intensity unmatched the rest of the year. Rather than condemning these expressions of human emotions, Christians ought to acknowledge them and feel free even to enjoy and participate in them. “The Gospels tell us that his birth was shortly before Herod the Great died. Herod's death can be fixed with certainty. Some of us will be celebrating the birth of our Savior. But was he really born on this day? 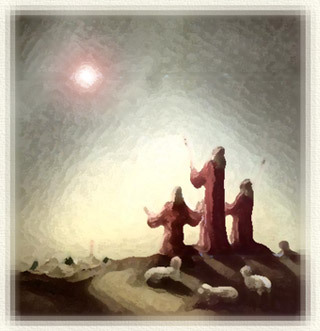 ... “Now, of course, we can't be absolutely certain of the day of Christ's birth. At least, not this side of heaven. But an early winter date seems as reasonable a guess as any. And December 25th has been the frontrunner for eighteen centuries. Without more evidence, there seems no good reason to change the celebration date now.